Marco is a family man and at the centre of his life are his wife Diana and their two daughters, Michaela and Gemma. Marco is currently serving as the Parliamentary Secretary to the Minister of Infrastructure and Communities. In this capacity, he speaks on behalf of the Minister in the House of Commons and is helping to advance government infrastructure priorities including transit, green infrastructure, and social infrastructure here in Toronto, and across the country. In early 2017, Marco was appointed as the Parliamentary Secretary to the Minister of Justice and Attorney General of Canada, where he helped to advance important government priorities such as Criminal Justice Reform, Reconciliation with Indigenous peoples and Restorative Justice. A passionate advocate, Marco has dedicated his career to keeping our community safe. As a federal prosecutor for nearly ten years, he fought against organized crime and put terrorists – including members of the ‘Toronto 18” – behind bars. He also worked at the Law Society of Upper Canada and served as President of the Association of Justice Counsel for two terms — a national association representing nearly 3,000 federal prosecutors and government lawyers employed by the Government of Canada. Marco had testified before the House of Commons and the Senate to advocate for better laws on organized crime and access to justice. Most recently, Marco co-ran a law firm that helps organizations enforce professional standards and resolve workplace conflicts. Marco is also committed to education and mentoring young lawyers. He has been an Adjunct Professor at Osgoode Hall Law School and regularly spoke at conferences both here and abroad. Marco cares deeply about his community. He has sat on numerous boards and has been involved with the John Wanless Childcare Centre, John Wanless Public School, North Toronto Soccer Club, COSTI Immigration Services, the Toronto Symphony Volunteer Committee and Heart & Stroke Canada. 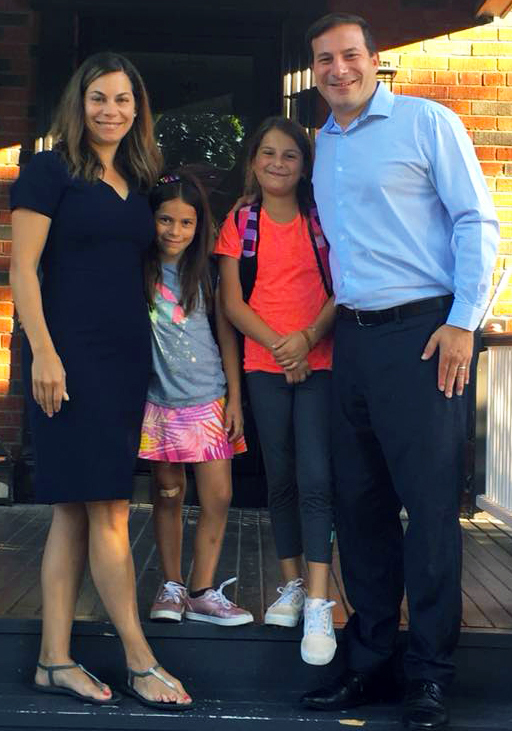 Marco has worked on specific initiatives to improve our schools, including the installation of a new turf field at John Wanless Public School and the creation of a lunch program for families with children going into FDK. On weekends, you’ll see Marco coaching both of his girls at the Eglinton Park soccer field. Shortly after his arrival in Ottawa, he was elected chair of the Ontario Caucus, the largest caucus in parliament, by his peers. As Caucus Chair, Marco helped guide and establish the Caucus’ priorities, ensure the orderly flow of business in Caucus, and relay any important information directly to the Prime Minister’s Office. In addition to his role as Caucus Chair, Marco also sat on the committee for Public Safety and National Security as well as the Standing Joint Committee on Scrutiny of Regulations.